Nonfat Dry Milk is available principally from the United States (DairyAmerica). 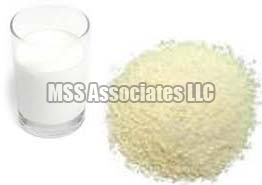 Nonfat Dry Milk is manufactured by removing water from pasteurized skim milk. It contains 5% or less moisture and 1.5% or less milkfat, and typically has approximately 34% protein.